The RYA Yachtmaster Ocean online theory course is the first stage in obtaining the prestigious RYA/MCA Yachtmaster Ocean Certificate of Competence. This online course is equally suited to those that aspire to blue water cruising, or those who just want to learn traditional navigation. The Yachtmaster Ocean theory course will equip you with the necessary theoretical skills to carry out an ocean passage as mate or skipper. The course will cover all aspects of ocean navigation, with a particular emphasis on the use of astro-navigation and worldwide meteorology. 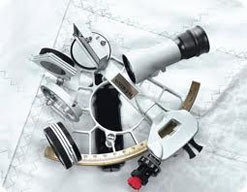 The sessions on astro-navigation will unlock the mysteries of the sextant and allow you to confidently take sights at sea to obtain your position and carry out compass checks. 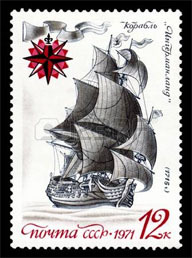 Ocean sailing is, however, about more than just using a sextant. Another important aspect of ocean sailing is worldwide meteorology, passage planning and communications at sea. Publications that assist the ocean navigator such as routeing charts and other pilot books will be covered. Prior to the course your navigation skills should be at the standard of the Coastal Skipper/Yachtmaster Offshore theory course. Your RYA-approved Online Yachtmaster Ocean theory course is provided by Navathome, a RYA Recognised Training Centre specialising in online training, and consists of detailed, animated lessons that are heavily image-based. The lessons are all online and can be accessed from your PC or Mac. Each section is followed by a set of questions which can be answered quickly and easily online. Once you submit your answer, you’ll be provided with instant feedback and will gain access to a detailed answer page. Some of your answers will then be forwarded on to your delegated instructor, who can provide you with help and support if necessary. 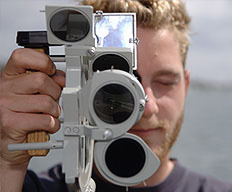 You will receive RYA Certification on satisfactory completion of the course. Your Ocean Yachtmaster theory course costs, with your special offer discount, £235 and includes the RYA pack consisting of an exercise pack, assessment papers and your certificate, so wherever you are in the world, you’ll receive material that’s completely tailored to your needs. By clicking a payment button you are agreeing to Navathome’s terms and conditions available here. Where ever you purchase your course, as with all courses, the quality will of the course be greatly influenced by the quality of the Instructor. By clicking the add to cart button below and only available from this web site, your course Instructor will be Peter. Peter is a very experienced RYA Ocean Yachtmaster Instructor with over 25 years’ experience in providing RYA tuition to students of all abilities. 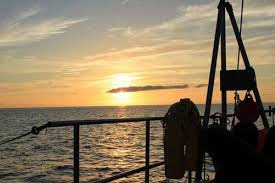 Peter has extensively sailed the Atlantic, Caribbean, Irish sea, English Channel, North Sea, Inland waterways of Holland, Aegean and the Mediterranean and whilst Peter will happily assist the highly experienced Seafarer in obtaining top end qualifications, Peter particularly enjoys helping beginners to achieve their own personal goals. There is an six-month initial access period. In the unlikely event that you will need an extension, there is an option to extend as many times as you like until you pass your assessment. The cost of administrating each 6-month extension, beyond the initial 6 months, is £30. Packs to Russia must go to a Business address. Unfortunately, Sailtrain will not accept responsibility for Packs sent to Marinas, or C/o addresses. If the pack goes missing after it has been signed for, the student will be liable for the cost of the replacement pack. Details of any special delivery requirements should be provided in the notes section of your Booking form.